Hosting a birthday party? We've got you covered! Take a walk in Welland’s downtown area and learn of the city’s oldest and most interesting buildings and landmarks. Please check our event calendar to see when upcoming walks will take place. Architectural walks have limited spaces, please call to register. Program Length: All walks are up to 1.5 hours. Please see our events calendar for upcoming walks and pricing. If you are parking in the museum parking lot, please obtain a free parking pass at reception. No food or drink is allowed in the museum outside of the community room. Photography is permitted during the walk. Make the museum one of your favourite places to visit! Group tours are available during our open hours. Perfect for community groups, badge groups or even a group of friends! Experience all the museum has to offer with a guided tour of the galleries with a trained staff member. Or, explore the museum with your group at your own pace. Group tours must be booked a minimum of 1 week in advance. Bookings can be received by phone or email. School programs must be booked two weeks in advance. Bookings can be received by phone, email or fax using the downloadable booking form. Bookings are verified by confirmation letter to the teacher. The Welland Museum now has excellent educational kits on Indigenous studies for grades 3 and 5, in both French and English. These kits were created by a teacher, for teachers. They are curriculum based. There are a variety of activities to choose from: language, social studies, visual arts, etc. The kits include hands-on activities and inquiry based learning. They have been vetted by Indigenous educators and promote Indigenous studies in a respectful manner. We encourage you to contact the museum to book a kit for your class. We gratefully acknowledge the financial support of the Ontario Trillium Foundation. Exercise the mind and body with this insightful walk about town, featuring ten of the city’s oldest and most interesting buildings. Spend the day exploring behind the scenes. How do displays get made? Where do all the other objects go? How do we keep track of everything? Be a museum professional for a day and find out! 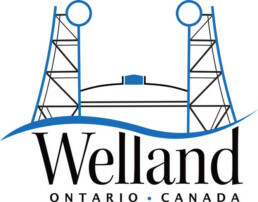 The city of Welland grew around the construction of the Welland Canal. Follow the stories of workers, businessmen, residents and how the city came to be in this program. The Welland Museum is also available to speak directly with students in their classrooms. Our travelling education collection will accompany museum staff to help provide engaging talks and presentations to students of all ages.